Get practical advice for becoming a successful blogger and non-fiction writer. A full year of the Savvy Non-Fiction Writer's Club! It's time to become a successful non-fiction writer! Let me give you an intensive course in non-fiction writing for fun or profit, plus the help you need to succeed as a blogger, writer or non-fiction author. I'm Bryan Collins, a trained journalist, professional copywriter, Amazon author and blogger. I'd like you to enjoy my ultimate program in non-fiction writing - the Savvy Non-Fiction Writers' Club. Inside, I’ll show you step-by-step how to write non-fiction books, blog posts, articles and more. And you'll get help at every step of the way. Master the craft skills quickly you need to publish your articles and posts. Get unique 'how to do it' templates you can use immediately to write non-fiction or blog posts that succeed. Gain one-to-one help with your non-fiction blog posts, articles or books. So what's unique about the Savvy Non-Fiction Writer’s Club? I’ve distilled the winning craft techniques of success non-fiction writers and bloggers so you can use them too. This means you get non-fiction writing strategies that work. Unlike many other writing courses, this course is affordable, you can cancel at anytime and take it at your own pace. It's like Spotify for writers. Cancel anytime! Join now for a great low-price. I’m a blogger, how can this club help me? You'll conquer some of the most common fears writers have about blogging: am I wasting my time, how do I know if I'm blogging about the right things and will this take away from my writing time? You will discover: how to find your voice, build your platform, find an audience and blog consistently. I will also reveal how to use an editorial calendar, give you proven templates and a step-by-step guide that will save you time writing and blogging. But what if you don't know what to blog about? I'll send you a list of evergreen topics so you're never short of ideas. I'll also critique your latest blog post or send you a 10-minute video critique of your blog if you email me a link. I’m a non-fiction author, how can this club help me? This club is for non-fiction writers who are serious about maintaining their sharp writing and self-publishing skills. Consider this club your online writing support group. "I think Bryan's coaching methods deserve a special mention. Since following him through his blogs I have come to understand more about the craft of writing so much so that I am about to launch my first book. His valuable teaching methods have helped me gain insight into the world of finishing what started out as a dream but will soon become a reality. I truly recommend anyone looking for insight to follow Bryan. 'A natural born teacher of the craft of the written word." "When I started Bryan’s course...I had a clear objective, and a very rough concept. I learned to expect messy first drafts, to build a daily writing routine, to outline my writing and to separate my creating from my editing. I ended up with multiple partial drafts, an idea file, and one ~6000 word rough partial draft I was pretty happy with and felt comfortable sharing for a coaching call. After the coaching call...I felt encouraged and validated... it’s going to be hard work, but at least now I understand where I need to focus my efforts. I made real, measurable progress because I took Bryan’s course and coaching call. Not bad for 33 days! Bryan is experienced, knowledgeable, and he cares about helping you become a better writer. This is the best step I could have taken to jump start my writing. Thank you, Bryan!" "I AM writing every day! Today is Day 32! For now, a humble bow and Thank You to you, and your YES to writing and publishing!!" I'll show you everything I've learned from spending years as an author, blogger and copywriter. I've spent years (and thousands of dollars) learning these methods from successful non-fiction authors, bloggers, writing coaches and more. How can you be sure you'll get value from this club? 1. I promise... your articles, blog posts and non-fiction will reach a professional and publishable standard in just a few months, provided you have at least a minimal aptitude for writing and you work through the materials. You can join the Savvy Non-Fiction Writer's Club today… 100% risk-free. After you’ve joined the club, if you still feel like it wasn’t helpful, email me, and I’ll happily refund your payment. If you feel like the Savvy Non-Fiction Writer's Club could help you, sign-up today. You can try the material risk-free and then return it if it doesn’t work out. 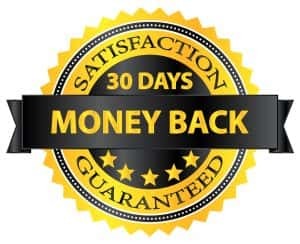 I created this club to help you, which is why I’m more than happy to offer this guarantee. When will the club materials be released? I will release a new lesson each month, and you'll get life-time access to previous lessons.. Several lessons are waiting for you today. Plus you'll get instant access to Write Your Book. How long do I have access to the materials inside the club? After enrolling, you have unlimited access to this materials for as long as your a member - across any and all devices you own. What if I want to cancel later on? You can cancel at any time, for any reason. You'll pay no more, and we'll part as friends. Or fix a period of membership that suits your budget - say, six months. Or take a break and resume later. You won't be charged during that period. Will you really critique my non-fiction writing? I can only offer this for a short-time, but if you send me a 500-word non-fiction blog post or book chapter, I'll give you some advice on how to improve it. I'm a blogger, what can you do for me? Send me your URL and I'll record a ten-minute video critique of your blog with immediate actionable tips. Normally, this type of service costs hundreds of dollars but it's my mission to help you. I write fiction, what about me? One of the bonuses inside this club - Write Your book - covers how to.... write a book! It works for fiction and non-fiction. That said, the emphasis in this club is on non-fiction writing. Fear not. As part of the premium package, I will get on the phone with you for 30 minutes to help you write better non-fiction (worth $297). Again, I can only make this 1:1 coaching call available for a short time.